Surly Bikes Bikes. Parts. Chaos. Please enter a valid North American address or zip code. Sorry, no retailers were found for this zip code. Please enter a different location. Sorry, no results were found. Please enter a different location or un-check "Show only retailers with confirmed stock." Sorry, this Locator is only available for North American residents. Please see our Dealers page. 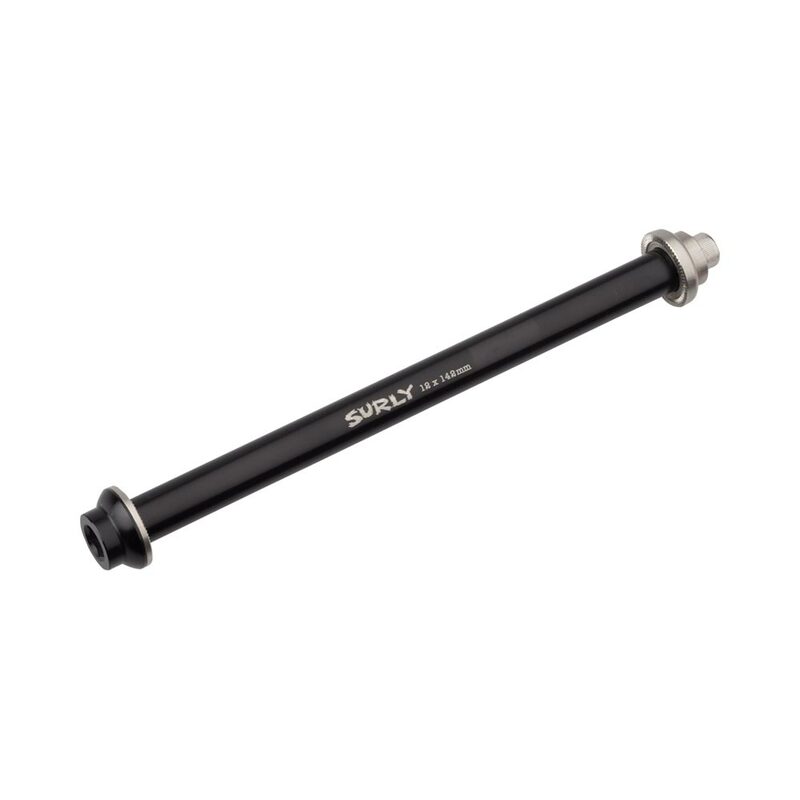 Surly Thru-Axles are low-profile, bolted Thru-Axles are specifically designed for use with Surly thru-axle compatible frames. Offered in several sizes, for both front and rear wheels. Fits: Midnight Special and MDS Dropout bikes including Instigator, Legacy Karate Monkey & Legacy Krampus. This Surly product is warranted against defects in materials and workmanship for one year from the date of retail purchase of the product, subject to the limitations detailed below. Save your dated receipt for proof of purchase. This limited warranty is expressly limited to the repair or replacement of a defective product, at the option of Surly, and is the sole remedy of the warranty. This limited warranty applies only to the original purchaser of the Surly product and is not transferrable. This warranty applies only to products purchased through an authorized dealer or distributor. In no event shall Surly be liable for any loss, inconvenience or damage, whether direct, incidental, consequential, or otherwise resulting from breach of any express or implied warranty or condition, of merchantability, fitness for a particular purpose, or otherwise with respect to our products except as set forth herein. This limited warranty gives the consumer specific legal rights, and those rights and other rights may vary from place to place. This limited warranty does not affect your statutory rights. TO THE EXTENT NOT PROHIBITED BY LAW, THESE WARRANTIES ARE EXCLUSIVE AND THERE ARE NO OTHER EXPRESS OR IMPLIED WARRANTIES OR CONDITIONS INCLUDING WARRANTIES OR CONDITIONS OF MERCHANTABILITY AND FITNESS FOR A PARTICULAR PURPOSE. © Copyright 2019 Surly Bikes. All rights reserved.